This book is a standalone, but there’s another book that came out first and that took place in the same universe and that featured the same characters as this book. 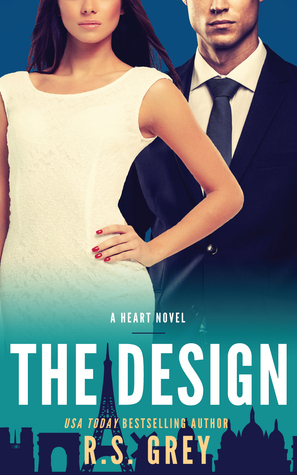 The main character of The Design, Cammie, caught my eye in the previous book and that was why I decided to read this one. Sadly, I was very disappointed. Cammie turned out to be a really inconsistent character, sometimes she seem responsible and smart, but her choices and actions most of the time were from an irrational and dumb person. I felt like the author didn’t give the characters any depth. It was hard to connect not only with the characters, but it was also hard to connect or understand their relationship. A lot of the time I felt like Grayson, the main male character, needed to call the police because Cammie was borderline stalking him. Until later on, because I found what Grayson did really messed up. Honestly, their relationship wasn’t healthy at all, and I feel like there was a bad portrait of what’s ok and what’s stalking, especially, in work relationships. Those were my mayor problems with the book, the characters and the relationship between then. On the other hand, the writing was alright, nothing special and I didn’t feel like the plot was that great either. Nonetheless, I never felt like I didn’t want to continue reading it. I think the reason is that it was a really short book, so I didn’t have the time to get frustrated with it. Have you read this book? Did you like it? Let me know in the comments!